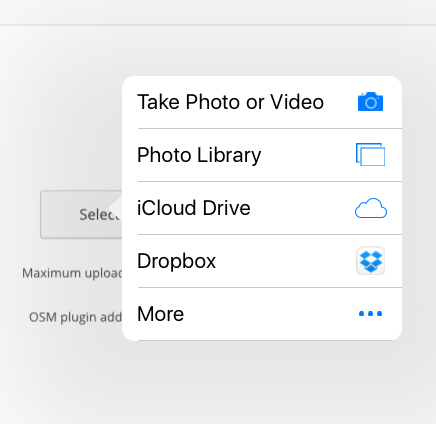 Finally ios allows upload of files from more than the photo library. This is just the first mp3 I found in my Dropbox. It is a recording n Buchanian st. In Glasgow. The more includes OneDrive for glow folk. This opens up lost of possibilities for blogging and podcasting on the move.